With an area of almost 30 hectares, the central square and riverside park, in HCM City's Thu Thiem New Urban Area, will be the largest public space in the country. Recently, the government allowed the city to add the square and riverside park project with a total investment of VND2 trillion (USD95.23 million) into the BT contract of four main roads in the Thu Thiem New Urban Area. The HCM City People’s Committee is seeking the municipal People’s Council's approval for the construction of the square and the riverside park in District 2. The square, which will be able to accommodate more than 400,000 people, and can be used for all types of public events. 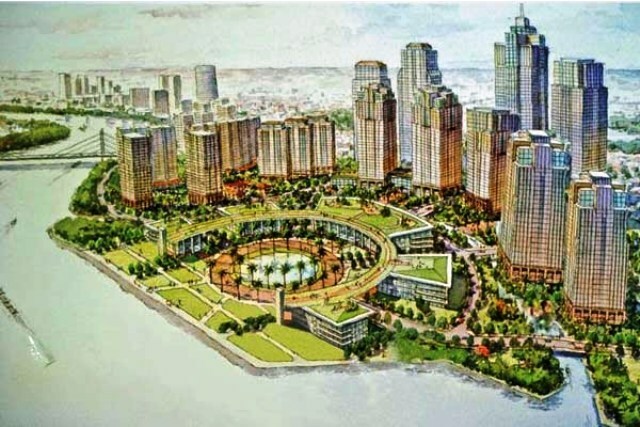 The central square and riverside park are expected to help improve the city’s investment environment, particularly at Thu Thiem new urban area. * Publication permit No. 1050/GP - BTTTT Hanoi, July 15, 2008.